Efren provided excellent service, explaining particulars of various carpeting which helped us make informed decisions. The installers were wonderful, arriving in a timely manner and making short work of the installation. Our carpet looks beautiful. Great flooring. Fantastic installers. The entire process went much smoother than Home Depots . These guys and gals are professionals. 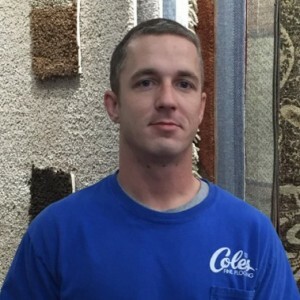 In December 2017 I worked with Maryann at the Coles Fine Flooring San Marcos location. She was terrific! Not only did she listen to my preferences and walk the entire store looking for options, but when I needed to make a different selection within my budget, she found the perfect options for me. She explained everything so thoroughly too. I learned a lot about carpet and installation from working with her, and now I'm enjoying the gorgeous carpet in my new home! 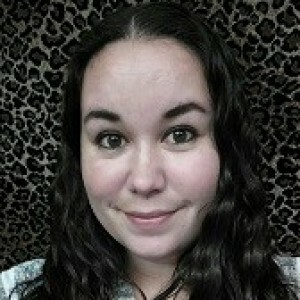 She's friendly, professional, and knowledgeable. Great service! Great service from sales all the way through the installation. Top notch crew! Mary Ann is very knowledgeable and helped us select some very fine products. We are happy with the selection and with Coles overall. To enhance her effectiveness, it would be important to write down the customers selections for future reference, and to be better prepared to ring up the sale. It took over an hour! Our flooring installation was accomplished without undue difficulty. We are pleased with the appearance. The first 90 days should allow the new planking to "settle in". From the time I first walked in the Santee store, I was treated professionally and very courteously. Heather was absolutely amazing and I cannot recommend her highly enough. Our sales rep,Ron Collins, did an awesome job with helping us see our vision come to life! In two phases, we were able to replace our old tile and carpet with beautiful wood laminate. It looks stunning and the work crew worked quickly so we could get our home back into working order as soon as possible. Would recommend them without reservations! Ron Collins has been very attentive during this project and on top of every phase. Excellent service. Wanting to share a "... Kudos! Well done!" for Heather T. C***k at Coles Fine Flooring, San Marcos, California. This is the second time I've purchased flooring from Heather, and the third time from Coles Fine Flooring in San Marcos. Ms. C***k listened to my exact needs and budget, and presented several beautiful options which fit my situation. She's highly professional, honest, and has a great design sense, not to mention extremely organized. I'll be back to see her again in the future! 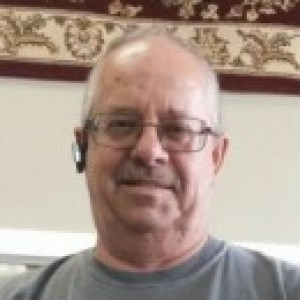 An excellent experience, primarily due to the outstanding service of Ron S. in San Marcos. He worked with me to find the best solution, at the best prices, for three different flooring surfaces, wood, travertine and carpet. He orchestrated the 3 installations over a holiday weekend to keep us from having to wait longer, and followed through on a minor issue until it was resolved. Cole's won't be the least expensive, but the professionalism of their sales staff and installers makes this the best value for your money. First of all, Jeremy told us there would not be subcontractors. I asked the installers and they WERE subs. They did a good job but left a big mess of wires behind our TV and we have to have someone come and untangle that mess. I was called by Jeremy and said they would need about 1.5 feet more of the carpet than originally measured by us. This came to $134 more for the small amount than what we were told in the store. Finally, my husband does not believe that the upgraded pad was installed under the new carpet. We cannot check, but that is disappointing. This was our first experience with Coles (we recently moved to SD from NJ). Everyone at Coles, especially Heather, provided outstanding service and professional advice during the entire process: from helping to coordinate the laminate and carpeting with the rest of the decor, colors; to scheduling installation to meet our timeline; to finding alternate carpeting when our first choice was not available (insufficient amount for our needs); to the actual installation which was completed on-time and expertly done. Nothing but high praise for the entire process and would absolutely recommend Coles for anyone who needs quality flooring at a good price, and installed without hassles and problems. Great job by the entire team!